1.Preheat oven to 180c (350F). 3.Arrange the copped potatoes in a large baking pan. 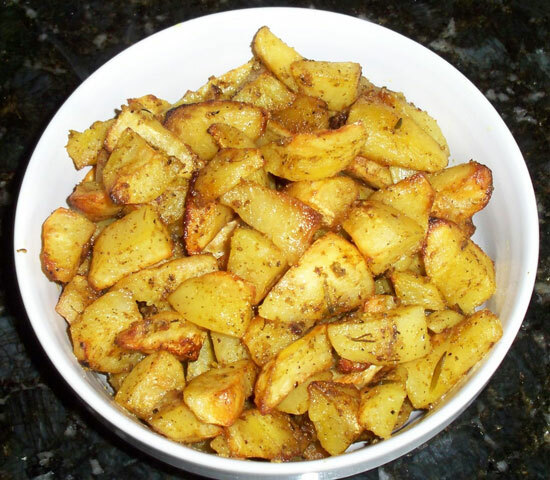 Pour olive oil over them and 3 tablespoons of oregano, salt, pepper, squashed garlic cloves and a pinch of dried thyme. Pour the lemon juice over the potatoes and mix well. 4.Bake the potatoes for 18 minutes (or until they are cooked properly – use a fork and see if they are soft when you drive the fork through them).